Jonathan Drouin ended a months-long stalemate with the Lightning organization by announcing his return to Tampa's AHL affiliate in Syracuse. 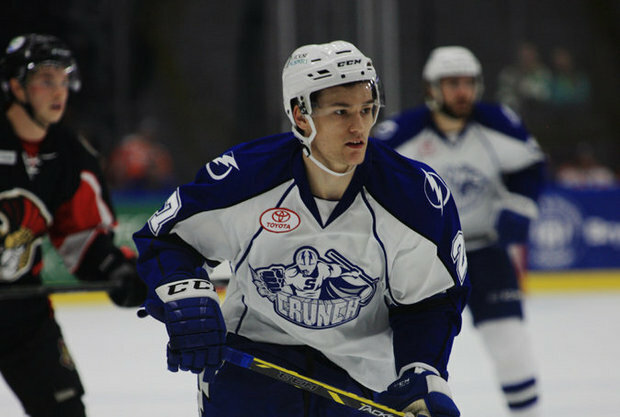 All going well, Drouin could serve as an ace in the hole for Tampa Bay the upcoming stretch run and post-season. Though most assume Drouin will be traded in the summer, there are several distinct possibilities for a faster resolution. As others have pointed out, the Lightning can still trade Drouin in-season. It just means he won't be eligible to play in the NHL playoffs. You would assume the Lightning would prefer to use Drouin as depth for a playoff run over dealing him for future assets, but we know that Yzerman softened on his demand for in-season help at the deadline. Tampa are doing fine without Drouin, so they may be comfortable trading him for assets that don't help them this season. Keep in mind that the Ottawa Senators, a team on the playoff bubble, added Scott Gomez post-deadline solely to help make the playoffs. Not to mention the Senators are also a team with keen interest in Drouin. What about the Flyers, who at the time of this post have a game in-hand on the Red Wings and are only four points behind them for the final wildcard in the East? We know Philly got into the Drouin bidding close to the deadline. Another team that could use a boost are the Avalanche, who are in a battle with the Wild for the final playoff spot out West. Both teams are fighting to merely qualify for the playoffs right now, nevermind making a deep run. It's also possible that a non-playoff team could jump into the mix and make a big offer on Drouin. Recall that the Sabres acquired Evander Kane from the Jets last season despite him having season-ending surgery. The Drouin situation is similarly untenable, although GM Steve Yzerman seems content to wait this one out if need be. Drouin's return to play in the AHL is being viewed favourably by GMs around the league, and might be the move that ultimately leads to his exodus.